I am writing for my 88 yr old dad looking for advice. 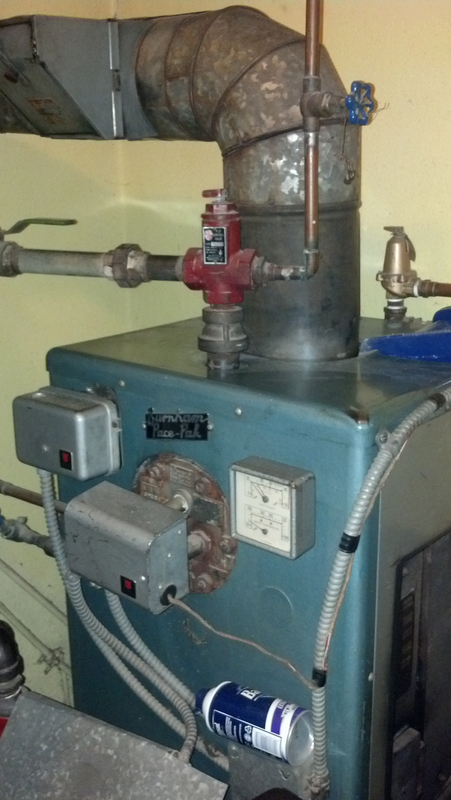 This Burnham Pace Pak Oil-Fired Boiler has a Burnham Burner Model 551. All original to the 1958 farm-house. Original T-stat too. Has worked very well for 60 yrs mainly as backup to the normal mode of wood heat since plenty of trees on the farm. Only real repair was 30+ years ago; A new ignition transformer. We are 99% sure it was a Dongan because he has an exact replica given to him about 35 years ago. Here is the odd thing. Dad is now forced to operate the system manually by a wall switch. The system will start fine in the morning IF the water temp is below 100 degrees. System will get the house nice and warm via its hot water baseboards. He will shut it off but the system will fire until the water temp gets below 100 (basically its waiting till next morning). When he tests it to see if it will fire at higher (tahn 100) water temps, it will not fire but WILL continue to spray fuel into the burner box! Dad and Mom (89) found this all out a scary way when operating normally off the thermostat. Thermostat was calling for heat but it was (apparently) only spraying fuel into the burner box for a long time. Then the electrodes must have sparked "at will". It made for a "boom" sound, rattled the utility room door and sent soot onto window sills. That prompted immediate switch to manual mode. We are Richmond VA area. Besides the ongoing talk to get a whole new system (no natural gas near), we welcome your thoughts to limp home till spring and summer. Swap the transformer? If yes, that Dongan transformer has two lead wires that attach to the two electrodes which are cast into the porcelain shouldered piece (that fits in a bottom hinge plate). Does it matter which wire goes to which? Same question for the two (only) black wires that go to the electrical j-box. I am just a dumb architect and out of my league here. When born during the 1929 Depression it makes people want to fix their things whenever possible. A coloring book, crayons and fruit was an awesome Christmas growing up he says. Thanks! *An edit in my second paragraph here... "He will shut it off but the system will NOT fire until the water temp gets below 100 (basically its waiting till next morning). This is NOT a DIY job. You need a pro here. If he has another ignitor (ignition transformer) this may get you through the season, but I suspect there is another issue here. With a burner that old, they'd need to check and make sure the head isn't worn out. If it is, I highly doubt parts are available, so you'd be looking at a burner upgrade. A standard burner such as a Beckett AF should work well in a boiler of this age, and will run more efficiently as well. But a new boiler would run more efficiently than an upgraded burner. ISTR there are some Wall contractor members in virginia, but the only one on the Find a Contractor page is in Lorton, near DC. Anyone else willing to step up? UPDATE! Dad has made "a" new discovery of why the need for the odd cool-down period before the system will restart. It has nothing directly to do with the water temperature. Only coincidental. The ignition transformer ITSELF is overheating. Too hot to put your hand to it dad says. Transformer won't send current to create a spark until it cools. He experimented with a small fan blowing direct on the transformer. He could restart the system MUCH sooner. The water temp was 160 coincidentally. Dad's exact replica Dongan transformer (that was in the barn for 35 years) will be going on at first chance - is his plan. As for getting a PRO involved, Dad called Woodfin Oil in Richmond. https://askwoodfin.com/ is their website. Long standing good reputation in Richmond but you can't "ask" them anything. They only want to send a service tech. Nothing new there. We are open to all continued advice esp. 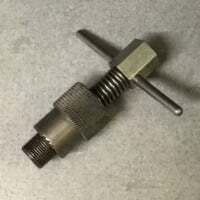 if anyone knows a freelance, reasonably-priced, oil furnace veteran TECH in the Richmond, VA area. My dad needs a friend. OK, that makes sense. Sounds like your Dad is someone I'd enjoy knowing. But if it's overheating from an external source rather than an internal defect, he'll need a pro. I've put the call out- maybe someone in your area will see it when they get back from the job and step up. Wonder if @Ironman is near that area, available and/or interested? I'm near Staunton. Richmond is about 1 1/2 hours away. Assuming with a system that old, the primary control (reset button) is mounted to the flue pipe. It has a 90 second safety that keeps the burner running when it senses the heat from the flue. Count 90 seconds. That's a lot of fuel dumping into the chamber with no ignition. Modern burners have a Cadmium Sulfide eye that sees the flame. Most burners have a 15 second safety. Much safer. A Riello burner has a 5 second safety. Much much safer. Personally, I don't think you should limp to spring. Most installations take one day. 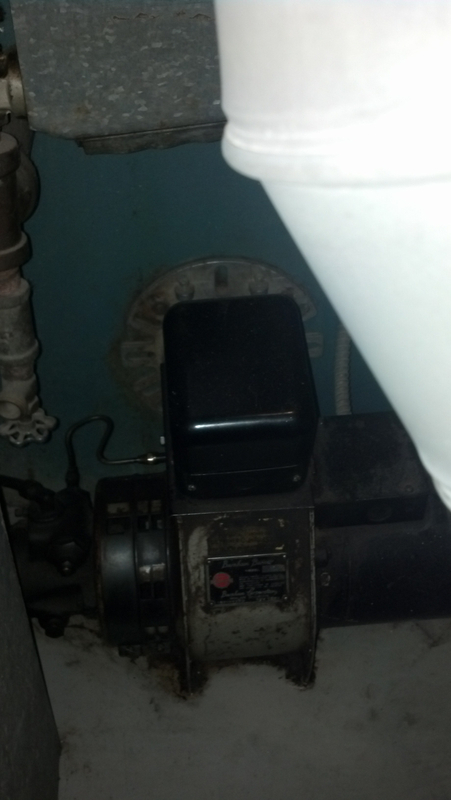 If its a "Big Bertha", boiler has to be split to remove, and access is tough, maybe two days. Thats a small inconvenience to pay for piece of mind. Put the folks in a nice hotel for a day or two while the job is being done. Also replace the thermostat with a digital programmable to set min and max comfort settings. Or a thermostat you, yourself can set a specific temp or schedule and lock it out so it can't be changed. P.S. your not the first person to say "Just get me through to spring and we'll change it then." Most times it doesn't happen. Then there will be a time when replacing wont be a choice but a necessity. Thanks HVACNUT (and to all) for all the good advice esp. on safety. That is paramount to any operating cost no doubt. The old unit would fit thru the door if that is what happens. Natural gas is about as far away as dads OLD love affair with #2 fuel oil in 1958. 25 cents a gallon back then. He does appreciate how hot water heat does such a good job. It would be hard for him to say goodbye to that form of heat. Is propane a dumb idea as fuel source as part of a possible newer unit swap? I have some PA family using propane up in dairy country even though NG is being drilled all around them. I don't recall any talk from them of propane being cheap. I am getting advice from mechanical engineer here at the office to consider mini-split systems (heat pumps) (since limited budget) so my folks might get better cooling then their two window a/c units. Heat pump heat and radiant heat are not quite the same I warned him. I notice they do like a warmer house. The original Home Place is 1200 SF brick rancher w/o conventional vented attic. No insulation in the 4" brick and 4" block backup. Wood furring and plaster walls. 8 foot ceilings. About 24" of crawl space height underneath since a flat site. Electrical panel fuses are old screw in type. They are on unstable power grid and lose power too often in winter storms that weigh the lines down so thank the Lord above for wood heat. I want to share with him all this great advice that might stream in regarding his NEXT system so please all - don't hesitate. He loves to read and will be reading every word of advice. Were this mine... I'd stick with oil and hot water -- and a good solid simple cast iron boiler. They still make them. It is unlikely that LP would be much cheaper than oil -- or much more expensive, either. To gain any real advantage from LP you'd really have to go to a mod//con type of boiler -- and they are a good bit more delicate. This is fascinating b/c I think I've hinted to dad about a REAL emergency generator. One that he doesn't need to roll from the barn (which won't start right now). Jamie's list to connect to emergency power; My folks would be content. Microwave for hot food and fridge and lights to see and a few outlets. They'd be happy. The LOW emergency power load for an oil fired furnace is something I never would have thought of. Long ago I was picturing a full-house, ducted heat- pump system that could run off generator power. Too grand a scheme it sounds. I suppose a tap off his outdoor above ground 200 gallon fuel tank would serve a generator or maybe new separate tank. Thankfully they are on County water so no pump there. Gravity septic field. And oh – I meant to say the house DOES have a conventional ventilated attic. Not the best place for a heat-pump air handler I know...if we were to have gone that route. It’s a “Burnham Pace-Pak” label on the boiler unit. 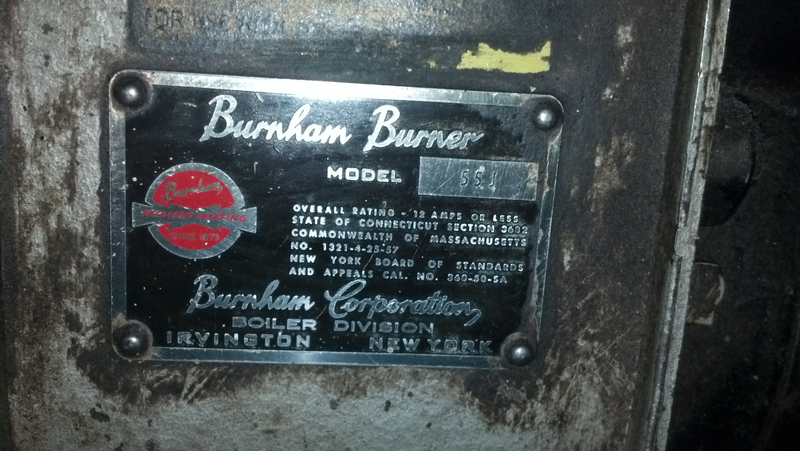 The burner is a “Burham Burner Model 551.” Hope I have attached the pics correctly. Excuse dark image of the burner. That was the flue pipe of the nearby stove blocking my flash. That's the overheating transformer sitting on top. Notice how dad uses the furnace to warm his shaving cream. That’s the only tip dad and I will be able to offer back as payment for your generous sage advice here. I’m away for 3 days taking our Church of Christ youth group to Gatlinburg, TN for Winterfest if I seem to go quiet for a while but I will be checking back. This is an awesome site! I stumbled into an amazing think-tank here. I've seen that burner design before- maybe it was made by ABC or Wayne?- don't think it's a Shellhead and it's much older than flame-retention. Still say at least the burner should be upgraded. Ok , I remember that system , thanks . The Pak confused me. Still with the original series 10 controls ...Amazing looks in good shape .. I was never an fan with the that gun , maybe an ABC.... Whats with the Barbasol shaving cream .. I'll be happy to give you an estimate on replacing the boiler if you'll p/m me. I agree that a small oil fired CI replacement seems the best way to go. "What's with the Barbasol can?" Maybe it was a close shave when the delayed ignition happened? Op said dad used boiler to warm can. Looks like a Wayne O or OE conventional. I work on one of those regularly. had to have new burner put on due to power surge hit house. was 110v controls. also has fire brick conbustion chamber, so you'll only get so much efficiency boost w/new burner. Thanks to all for the further input. My dad has enjoyed reading all of your input. The plot of this story has thickened a bit. A grandson (my nephew) (Caterpillar diesel generator technician) found a gap between electrodes that was wider than the 1/8" recommended - based upon reading a good paper found on the Allanson transformers website. Written by Art Leary, P. Eng entitled "The A.B.C's of Ignition Transformers." An old looking paper but an easy read and good troubleshooting advice. Mr. Leary admits to being an "Old Timer." So now, the old boiler system is performing as well as ever! Dad is using the thermostat as he has for 60 years. It sounds smoother on startup dad says. No transformer overheating any more. No way it could have been just a bad gap could it? A U.S. Boiler tech (who appears to have taken up the Burnham boiler residential market), responded to my question on if the wide gap in the electrodes might cause the transformer to overheat. He said "the transformer can heat up a bit but may be more of a drafting issue and heat is coming back [thru?] the burner tube." Your thoughts on that? The U.S. Boiler tech also said, with respect to dads "close shove" with his mini-explosion... "There is always a safety. If it does not fire within 90 seconds or less, dependent on the control, it shuts the boiler down for safety. Sometimes the control is on the burner but due to the age of his boiler it is probably on the vent pipe to the chimney and senses heat. This must work." Any advice in knowing where that "safety" (heat sensor) is located would be appreciated. Not sure if dad has ever seen it. Thanks! No yours is top left , the control with the reset .The primary control ... The helix is inserted into the top of the boiler on yours ..